Sorry for any inconvenience, our website is under construction! WAFMP is incorporated as a non-stock/not-for-profit organization and is registered with the Wisconsin Department of Financial Institutions. WAFMP runs solely off of donations we receive and funding from our volunteers. Donations to WAFMP are gratefully appreciated. 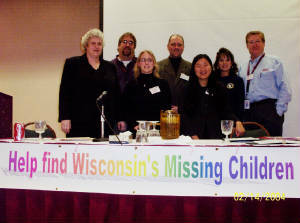 According to the NCIC (National Crime Information Center) , as of June 1, 2005, there are 250 active missing adults cases and 23 unidentified victims in Wisconsin that are listed with the NCIC. It was not always standard procedure to list people with this agency in earlier years, and is still not mandatory today, therefore not every missing is included and the actual number is much higher than this. 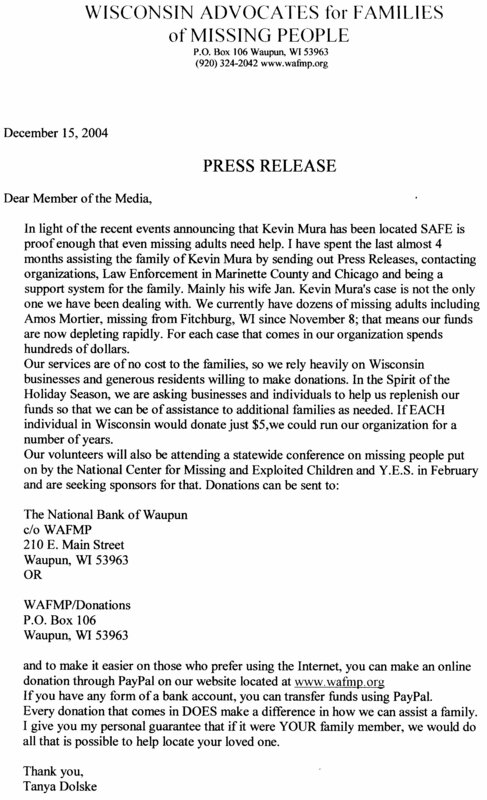 We hope to turn up names of many more missing Wisconsin adults in the near future. In the event of a missing adult alert the individual's information will be displayed here! Each month WAFMP will feature a missing or unidentified adult. This is our way of continuing our efforts in the realization that these are individuals who have family and friends whose lives have been changed by the unknown. We need to treat each situation of a missing adult separately. Not classify them as one.